Torah, Deuteronomy 23:16 – 23:17: You shall not deliver a slave to his master if he seeks refuge with you from his master. [Rather,] he shall [be allowed to] reside among you, wherever he chooses within any of your cities, where it is good for him. You shall not oppress him. If master wants to kill a slave or cause him some damage, you must hide him and then somehow return him to his master. It means that if some desire can’t succeed while undergoing correction, then there is a whole system of connections of several desires that together can make a correction. Therefore, any desire that is part of another desire can always be corrected by this other desire. There is always a connection. The interesting fact is that we never or in any way correct ourselves, but always correct our inclusion in others or inclusion of others in us. After all, I don’t even know who I am. I only know how I treat others and how others treat me in the relationship between us. However, we know neither who “I” am nor who “another” is. Our “I” remains outside of us, whereas connections between us are revealed to us, and exactly in them we attain the Creator. Question: When we speak about desire, do we mean the desire that is directed to the connection? There are desires that don’t have their own intention. They can be corrected only by joining them to other desires with intention. A “master” is one who has big desires with correct intentions and who can attract other desires to himself and correct them with his intention. Let’s say you are a master relative to me. It means that you take some of my desires, we connect with each other, and I seemingly correct these desires by becoming included in you. In reality, you correct them with your intention, with your Masach (screen). Therefore, when it is said that the master wants to kill his slave, it means that the Masach can’t correct him. Someone else has to do it. In other words, we always just correct others and not ourselves. A person doesn’t know and will never know himself because this relates to the prerogative that is above the attainment of the Creator, to what is called Atzmuto. And we just correct the connections between us. As it is written, “Make your desire like his,” which means that I always correct others in myself. Question: Do I become “Israel” when I begin to understand this and work on this? Answer: Yes, this is a completely different level of attitude toward the world. The world becomes different. You have a different attitude to people, to yourself, and to your role. You look at everyone and understand what is happening to them, with whom it is worth meeting or not, and for what, how, if you are ready for this communion or not, and so on. This presents a very interesting problem: who you are in contact with, in what way, and with those who you meet in life, should you distance yourself from them or can you get closer? New Life #540 – Jewish Culture: Were We Slaves? Question: How is a person’s perception of reality built and organized? Answer: A person’s perception of reality in our world is determined by our five corporeal senses: sight, hearing, smell, taste, and touch. They correspond to the five spiritual senses: Keter, Hochma, Bina, Zeir Anpin, and Malchut that we feel when we begin to attain the upper world. Therefore, we need to develop these senses inside us in order to attain the upper world. This is fulfilled only if we ascend above our desire to receive. In this desire, we seemingly feel the world that surrounds us, but since it is perceived inside us, we cannot say that we feel anything that surrounds us. It is simply reflected and appears this way in our current senses. If I look at a table that is in front of me, for example, I perceive the way I see it. But if I had different senses, I would see it differently. This means that we actually don’t see what is external to us and there are only forces that are external to us and nothing else. Just as a computer depicts a picture with vectors and electrons that we see on the screen and perceive as a certain reality, so is the world around us nothing more than different vectors that are connected in certain ways and thus depict certain pictures of reality inside us. The problem with the corporeal perception of reality is that our senses don’t show us the full picture of the world. How can we begin to perceive the true reality that is external to us and is a physical field that is made of many different forces? This is done by ascending above our egoistic desires. But what is actually wrong with them? Through them we perceive only what is perceived by them and nothing more than that. We do not exit the limits of our essence. Whatever is perceived by our corporeal senses of sight, hearing, smell, taste, and touch is what we feel. We perceive more than 90% through our vision, 8% by our hearing, and very little through our touch, taste, and smell. Taste we feel only when eating. A person’s sense of smell is very limited although the cells that are responsible for that occupy a large space in the brain. And through touch sensations, we feel ourselves in space. In any case, these five senses attain only what can go through them, be processed, and put together into a general picture of reality that is depicted to us. There are actually no people, no animals, no plants, and no inanimate nature external to us such as galaxies, stars, and planets. There are, however, many forces that impact our senses and depict this picture inside us. Yet, if we ascend above our senses by using the method of the wisdom of Kabbalah, we will begin to perceive these forces that are external to us objectively and undisturbed by us. Moreover, it will be in a relatively objective manner since we will perceive them to the degree that we resemble the Creator, that is, not yet fully. The full degree is called the Light of Infinity, when the forces are not disturbed by anything in any way and are not restricted. We cannot feel that at the moment because we feel the Light only to the degree of our partial resemblance to the upper field. How can we resemble it in order to perceive it correctly? This is our problem. If we exit the level we are on, it will be clear to us where we truly are. The wisdom of Kabbalah actually prepares a person to perceive the upper field. In order to feel it, you have to perform certain changes in yourself, to make efforts and ascend above the ego that locks you inside it, like a dwarf star that swallows itself to a degree that it doesn’t even let out any Light. We have to exit this state to ascend above ourselves and begin to feel what is outside our ego. This means that I have to restrict it to stop perceiving everything only for my own sake and to try to perceive things for the sake of others. At this point, I already begin to understand that I was intentionally created as an egoist in order to ascend above my nature. I live in a world that is made of myself and of many other people so that they will help me exit myself and perform certain work by caring for them more than for myself. In this case, to the extent that I can ascend above myself, I perceive the space that surrounds me objectively: its intensity, size, and volume. In order to enable me to encompass this space till the level of infinity, the ego keeps developing inside me. The moment I begin to exit myself, the ego begins to grow even more inside me so that I will ascend even higher above myself and thus get to know the upper field that surrounds me and everything it reveals to me. What do these revelations mean? When I exit myself, I interact with the upper field and begin to actually realize its thought, its actions on me, and I try to resemble it, and thus I contact it. In practice this is called the unification of man with the Creator because the upper field is my Creator and not only mine but everyone else’s. In fact, I do not know who everyone else is. I begin to perceive them as my parts and to see my future development in an increasingly greater connection and unity with them. At the same time the ego keeps growing and keeps trying to separate us, but the more we try to connect them, the more we attain the upper field. Inside it there are all the thoughts of the creation, everything that we need in order to enter the new dimension of the world, to ascend above all the limitations to the upper dimension, to a totally limitless space that is not disturbed by anything. We need and can do this now! We have to attain the upper world while living in this world and to move on to it smoothly so that our world will totally cease to worry us. We will only feel it as a small springboard by which we jump and leap to the next dimension of our existence. The Perception Of Life: A Dream Or Reality? Every year there is the “Lag BaOmer craze,” when children and youth throughout the country collect any piece of wood they can lay their hands on, and not always wood that was meant to be trashed, and pile them up into huge mounds days before the festival. On Lag BaOmer night, the 33rd day of the omer count, which begins on the first day of Passover and ends in Shavuot, they set them all on fire. 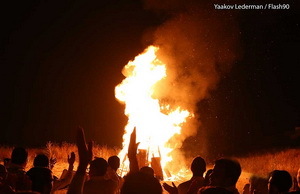 This may not be the most fundamental festival on the Jewish calendar, but like all Jewish festive days, Lag BaOmer marks a profound point in our evolution as a nation, and in our individual spiritual development. Around this time of the year, some 20 centuries ago, all but five of Rabbi Akiva’s 24,000 students fell ill and died. According to the Talmud (Yevamot 62b), this happened to them because they did not follow Rabbi Akiva’s most fundamental law, “Love your neighbor as yourself.” The five students who survived stayed healthy because they followed their teacher’s guidance and stuck to the principle of love of others. Of these five students, two in particular passed on their teacher’s tenets: Rabbi Yehuda Hanasi, chief redactor and editor of the Mishnah, and Rabbi Shimon Bar Yochai (Rashbi), author of The Book of Zohar. Rashbi lived and taught in the period following the Bar Kokhba revolt against the Roman Empire (circa 132–136 CE). He was among the most prominent dissidents against the Roman rule in the Land of Israel. The Roman emperor, Hadrian, sent men to find Rashbi and kill him. According to legend, Rashbi and his son, Rabbi Elazar, hid in a cave in the Galilee for 13 years eating only carobs from a nearby tree and drinking water from a nearby spring. 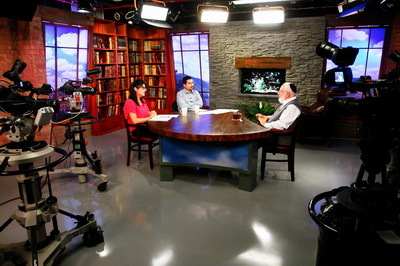 During that time, they delved into the wisdom of the hidden, the wisdom of Kabbalah, and revealed the secrets of creation. Through their efforts, they grasped nature’s deepest levels and perceived the underlying unity at the basis of existence. After 13 years, Rashbi heard about the death of Emperor Hadrian and emerged from the cave. With eight more students, Rashbi and his son went into another cave in the Galilee, where he taught them the secrets of Torah he had revealed. With the help of his students, Rashbi wrote The Book of Zohar—an interpretation of the Pentateuch, parts of the Prophets and the Writings (Hagiographa), and the seminal book in the wisdom of Kabbalah. Contrary to popular belief, The Book of Zohar does not talk about mystical creatures and esoteric powers, but rather describes the natural relationships that exist among all people. It writes about us—the process we go through as we develop our spirituality through our relations with other people. The omer count begins on the first day of Passover, and Lag BaOmer happens on the 33rd day of the count. On that day, Rashbi passed away, which is why it is also the day when The Book of Zohar was sealed and the wisdom of Kabbalah was given to the world. We light fires on Lag BaOmer to symbolize the great light that appeared in our world when The Zohar was signed and delivered to humanity—a light that can establish among us connections of love. In recent decades, our egos have driven our world to the brink of collapse. This is the exact same malady that consumed Rabbi Akiva’s students. Just as the Temple was ruined and the students died only because of unfounded hatred among them, today’s alienation and aggression in society are wreaking havoc the world over. To find our way out of the labyrinth, we must use the method of connection and unity that our ancestors used 20 centuries ago. If we implement it and connect above our isolation and mutual distrust, we will light up the same great flame that burned before and the light of The Zohar will be revealed. My teacher, Rav Baruch Shalom Ashlag (RABASH), wrote, “In each one there is a spark of love of others. However, the spark cannot ignite the light of love. Therefore, by bonding together, the sparks becomes a big flame” (The Writings of RABASH, vol. 2, “What Is the Degree One Should Achieve”). Today, it is becoming clear that our society requires a fundamental and sustainable solution to the problems we face. We must establish among us the great rule of the Torah: “Love your neighbor as yourself.” However, this will happen only if we choose together to install it among us. We are indeed selfish to the core and our “inclination is evil from our youth,” as the Torah tells us. Yet, even a journey of a thousand miles begins with one small step. Now we must take that step and begin to march on a new path—toward unity, connection, and brotherhood. Deuteronomy, 23:10 – 23:11: When a camp goes out against your enemies, you shall beware of everything evil. If there is among you a man who is unclean because of a nocturnal emission, he shall go outside the camp. He shall not come within the camp. During the night a person cannot be in spiritual union with the Light, a screen, and a desire because there is no Zivug (coupling) of Light and screen. In our world, sexual coupling usually happens at night. But here we are saying that it should happen only during the light of day. Question: Does it mean that a person is unclean because this coupling happened at night? Answer: Not only because of that, but also because this ejection of the Light is happening without a screen and without the Kelim (vessels) that are necessary if there is to be reception in order to bestow. In other words, there is no receiving, feminine part here and the ejection of the seed occurs without a vessel, and the vessel is necessary in order to then birth the next state, the next level. This is considered unclean. Question: If, as you say, coupling must take place in the light, then why does it say that it happens in darkness? Answer: Precisely when it is dark, when there is absence of the upper Light, contact between the male and the female aspects occurs. This symbolizes preparation for the union between a screen, a desire, and the upper Light. That’s why this happens only at night and only on specific days and in specific states. As a rule, it must be during the day, especially on a Saturday. After the meal entering Shabbat, from Friday to Saturday, when Saturday comes, a man must be with a woman. And then again on Mincha, that is, before the end of Shabbat. This corresponds with the Light which, at this particular time, shines in the spiritual world. The birth of the next level during the day on Saturday is the most auspicious time for correcting the Kli. This is the time when all the conditions are positive for the feminine part (desire) and masculine part (intention and union with the upper Light) to create the proper action of bestowal. This is a very complex system of forces that subsequently materialize in our world in the form of male and female organs, which then interact in a way that produces the continuation of life. With respect to this, there are days (seven unclean days), when it is forbidden to touch a woman. After this, another seven days are counted; fourteen days in total. Finally, there are only two weeks remaining, which are appropriate for insemination. All this was calculated during those times when all women had the same lunar cycle. The lunar month is twenty-eight days and corresponded exactly to the women’s cycle. There was a sense of one single woman because it was a time that was close to spiritual correction. It is written in the Talmud Eser Sefirot that the first seven unclean days are Gevurot (screens), which must form within the woman in order for her to correctly receive the seed into herself, the seed, representing the upper Light. The second seven days are preparation, formalizing her desire together with the screen. Afterward, the woman bathes in the Mikveh. This means that the desire is bathed in a certain light called Mikveh, water, the light of Bina. After this, she becomes completely ready to act in order to bestow because this is the quality Bina imparts to her. And then, within her, forms a desire that is able to receive the upper Light to its point in the heart and to begin to develop a soul from it. In this way, birth can occur only from the quality of Bina joined with Malchut. #MothersDay2017– – the upper mind is the father, but the upper corrective force is the mother, guiding us toward correction and #success. If the ghost of communism roams the #EU, shouldn’t the EU create a ministry to deal with its future practical implementation? Soon we’ll be able to show everyone that we’re doing the most essential thing in our #world—its practical correction. #MothersDay—Mother is the higher mind, the Creator, Nature, birthing and developing us, wanting to see us intelligent and happy, like Her. Lag B’Omer is a Kabbalistic holiday, the attainment of the upper Light by Kabbalists who are united above the #ego, as taught by Kabbalah. Hunger & population on the rise in Africa. This weighs on #Europe, but Europe will die if it accepts them. Do you stop immigration, and how? We are all parts of the general soul called Adam HaRishon (First Man), and each of us corrects his part in it. When a person corrects his attitude to others into love, he discovers that everyone else is already corrected.